Do hamsters make noises? This might seem like a silly question to many; but in the mind of an actual hamster owner, this inquiry should be of the utmost importance. A hamster, for all intents and purposes, just might be the ideal pet; a sweet, calming, and totally adorable presence in your home and family. If your furry little friend is sad, sick, or otherwise in distress, how will you know? They can’t talk, after all—or can they? The simple answer to the question, “Do hamsters make noises?” is yes, absolutely. For although the hamster may rank among the quietest of domesticated animals, anyone who listens closely will hear a wide range of expressive sounds flowing from the mouth of their hamster pet; noises that include squeaks, hisses, chirps, clicks, and even coughs and sneezes. 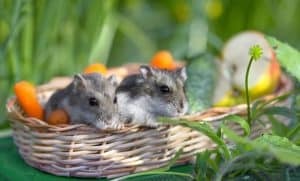 In this article, we will teach you as a loyal and devoted pet owner just how to speak “Hamsterese”; how to interpret the subtle but very noticeable sounds that reveal the mood, the mindset, and even the health condition of the typical hamster. So yes, you can be assured that your hamster—in his/her own adorable way—does possess a keen and very real ability to talk to you. Now wouldn’t you like to know just what they are saying—what specific messages and emotions they need to convey? 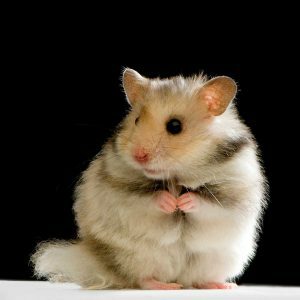 If your hamster is hungry, ill, frightened, or even contented or excited about life in general, then you as a conscientious pet owner needs to know. 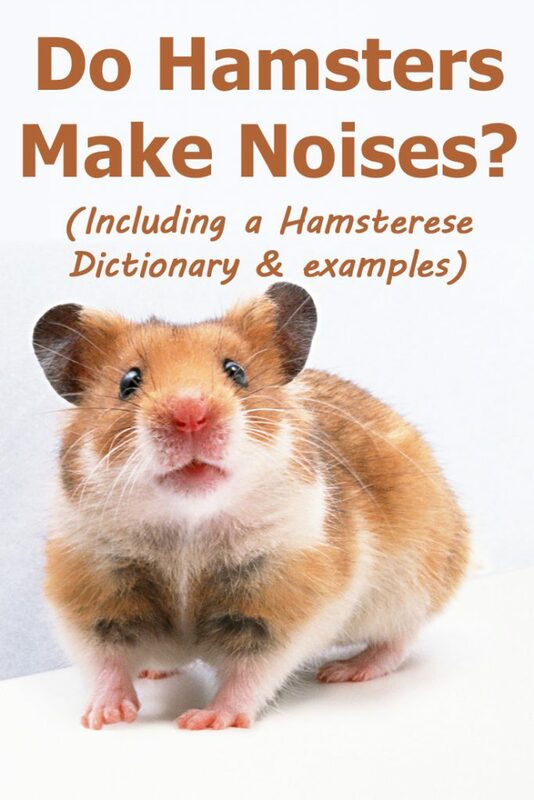 Read on now for the complete linguistic guide to all things “Hamsterese”, as it applies to virtually all species of hamsters, including Syrian, dwarf/Roborovski and Siberian.…. What Does It Mean If Your Hamster Squeaks? If you watch a comedy movie or skit that centers around hamster characters, then you probably will hear the ‘leading man’ and ‘leading lady’ in these pieces squeaking the vast majority of their lines. Just as the dog is known for its bark and the cat for its meow, then the hamster is pretty much known for its shrill, high-pitched squeak. The squeak is definitely the most common form of everyday speech for the hamster. The question remains, though: When your hamster squeaks, just what are they trying to tell you? Happiness. Much like human adolescents and teens, hamsters have a tendency to squeak and squeal their happiness. And, lucky for you as a pet owner, it doesn’t take all that much to make a hamster squeak. Indeed, these amiable and good-natured creatures are likely to squeak when they get a new toy or play with an old one, when they get the opportunity to run the course of their favorite exercise wheel, when they are presented with a tasty meal, treat or snack, when you pet, stroke or play with them, when they meet other hamsters for a pet playdate, or perhaps when they are freshly awakened from a long, incredibly satisfying nap. Yep, it really doesn’t take much to satisfy a hamster; to bring them incredible joy and happiness. It would be nice if human beings were more like hamsters, yes? Just keep in mind, though, that a squeak is not an automatic sign that all is well with your hamster. A hamster’s squeak, in fact, also can be a surefire sign of…. Irritation. If your pet feels neglected, then—much like your spouse—he/she will let you know. And then some. Indeed, your hamster will convey irritation, agitation, and annoyance via a squeak. This feeling could stem from a number of situations and might arise when they need more attention from you or less attention from another household pet who just won’t leave them alone. Illness. If your pet is sick or injured, they might see fit to squeak their misery; alerting you that they need your care. Hunger. Much like your kids or that annoying little brother or sister, your hamster will regale you with squeaks when they need food or water. Wow, so it would seem that hamsters squeak to communicate an endless range of emotions. How is the conscientious pet owner supposed to know just why their hamster is squeaking? Well while an occasional squeak is probably an indication of happy and contented feelings, particularly sharp or repetitive squeaks might be an indication that something is wrong. If your hamster just won’t stop with the infernal squeaking or is squeaking more frequently and/or louder than usual, then go to them as soon as possible. Check to ensure that they have enough food and water, that their favorite toys are nearby, that they seem in good condition physically, and that they are not being bothered by kids or pets in the house. Why do hamsters make hissing noises? When your hamster hisses, it is generally because they are uncomfortable with some current aspect of their living environment or conditions. If he/she is new to your home, then they may just need time to learn to trust you and to adjust to their new surroundings. If he/she continues to hiss in your presence, then you may need to slow your movements and soften your voice around him/her. If he/she hisses in the presence of another pet, then you may have to separate them—at least until they too can adjust to one another’s constant company. If the hamster hisses when alone, then they may be uncomfortable with some aspect of their living conditions. They may feel too cramped or confined or may be frightened by the appearance of a certain toy. A little investigation goes a long way in determining the reason for the hiss. Do hamsters make noises at night? 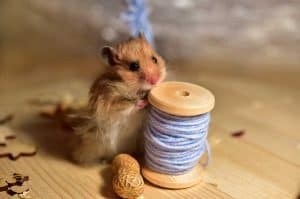 Situating your hamster’s cage a good distance away from your bedroom and selecting a cage and play wheel that won’t squeak or squeal even more than your hamster does. Also try playing with and exercising your hamster before your bedtime, so that they can expend a great deal of their energy without depleting yours. So lately you’ve been noticing a strange clicking sound coming from somewhere in your home. Is it a clock? Is it a poorly placed balloon or sparkle bomb? Or is it your hamster? Well it’s your hamster, of course! What else would it be?! Bruxing is a somewhat strange ritual that involves the hamster rubbing their front teeth together, both upper and lower, to produce a clicking sound. No worries, though; when a hamster—um—bruxes, it generally means that he/she is pleased and content. Why does my hamster make a coughing or sneezing sound? Everyday irritants. A bit of dust or an odorous smell can steal up the nostrils or down the throat, thus prompting a light, temporary fit of coughing or sneezing. Allergies. Your hamster may be allergic to its food, its treats, etc., or to some smell or another element within its natural environment. The common cold. Animals are capable of catching colds, just as human beings do. If your hamster is coughing and/or sneezing with any degree of frequency, then consult a veterinarian immediately. It could be the symptom of a serious health issue. When your hamster talks (i.e., squeaks, squeals, clicks, hisses, etc. ), listen! Leave us a comment to let us know what kind of sounds your hamster makes – and please share this article with your hamster-loving friends too!